New York’s Office of Court Administration (OCA) has recently published a new Statement of Net Worth template applicable in all NY divorce cases beginning on August 1, 2016. 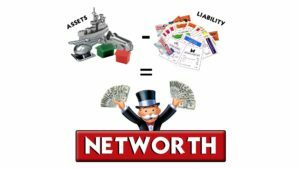 The new Statement of Net Worth can be found here. A Statement of Net Worth is mandatory in all contested divorce actions in New York state. As such, each litigant is required complete the document and swear to the validity of the contents. The revised template clarifies and amends a number of aspects of the Statement of Net Worth that were ambiguous or outdated in the prior version. For instance, the new template requests the monthly cost of a litigant’s cell phone plan while the prior version, published in 1998, did not address such costs.